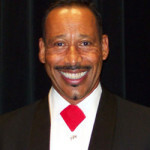 Rufus Dustin is one of the most famous, titled, and highly regarded dancers, coaches, choreographers, and certified adjudicators in the World. 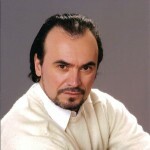 Giampiero Giannico is one of our most accomplished dancers and ballroom dance competitors in the world. Dancing With The Stars Celebrity Pros, Edyta Sliwinska and Alec Mazo, have given Group Classes and performed at Goldcoast Ballroom. Photos and videos from some of their classes and performance at Goldcoast Ballroom are featured on our Photos and Videos pages. Taliat Tarsinov coaches and choreographs the dancing of many of the highest ranking professional competitors in Ballroom, Latin, and Show Dance. He often gives coachings at Goldcoast Ballroom. Victoria Regan is a former United States Latin Champion, North American 10 dance champion and 5-time Canadian Ballroom and Latin Dance Champion. She often can be seen coaching Pros and students at Goldcoast Ballroom. Ms. Tonja Garamella has been a World Class Adjudicator for the past 15 years, holding certifications in International Latin, Ballroom, and American Styles of dance. 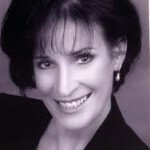 She has acted as judge and evaluator at our Goldcoast Ballroom Summer Showcase. Her constructive critiques to students on their performances help the students learn and improve their dancing. 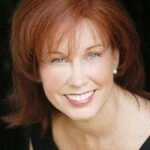 Susie Thompson, Five Time U.S. Rhythm Champion, has been one of the most successful professional competitors in the United States, and is a highly sought teacher, coach, lecturer and adjudicator. She started dancing on a dance team for the University of Texas, seizing the opportunity to do something she always loved…dancing. Sam Sodano, a former North American Latin Champion, is the organizer of the Ohio Star Ball, the largest and one of the most prestigious dance competitions in the United States, which is broadcast on television each year. As the organizer, Sam is featured annually on PBS television’s Championship Ballroom Dancing. 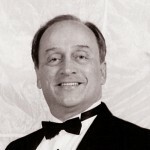 Ron Troy is certified as a judge with the World Dance Sport Council and with the United States Amateur Ballroom Dance Association. 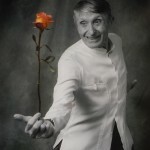 Francois Szony, an icon of the dance world and known as one of the greatest Ballroom Adagio dancers in the world, was featured in several movies and appeared on stage during the 1950s and for many years thereafter. The above World Renowned dancers and dance celebrities are not affiliated with Goldcoast Ballroom, but come to our Ballroom from time to time as Guest Instructors, Coaches or Judges, to lecture, teach special classes or lessons, offer coaching, or judge our competitions or Showcases. * Note: Like most Ballrooms in the United States, Goldcoast Ballroom does not employ instructors; rather, our World Class Instructors and Guest Instructors all act as highly qualified independent contractors, who rent floor space from us to teach private or group dance lessons at Goldcoast Ballroom. They teach all types of International and American Style Ballroom, Latin, Rhythm & Social dancing, as explained under What We Offer and in their biographies above. If you are interested in private lessons, please contact us, and we will refer you to our independent instructors who teach the types of dance you are interested in, so that you can schedule lessons fitting your interests, with them directly.